Since we introduced Heavy-Duty Straps to river runners 35 years ago, they've been used for virtually every hold-down application imaginable. 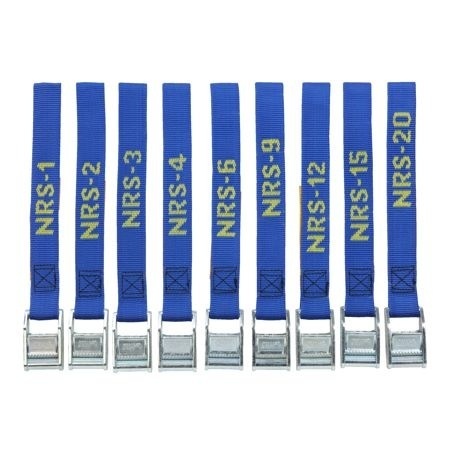 Whether you're attaching your boat to your vehicle or your frame to your boat, NRS Straps won't let you down. 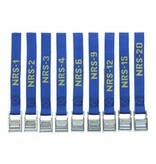 You can never have too many straps, and ours come in nine different lengths with a handy name tag for your convenience. 1 inch, high-tenacity, polypropylene webbing rated to 1500 lbs. Buckle rated to greater than 2000 lbs. tensile strength. All strap lengths are measured in feet.